The first of the month is theme day for the city daily photo community (CDP) and this month it is umbrellas. 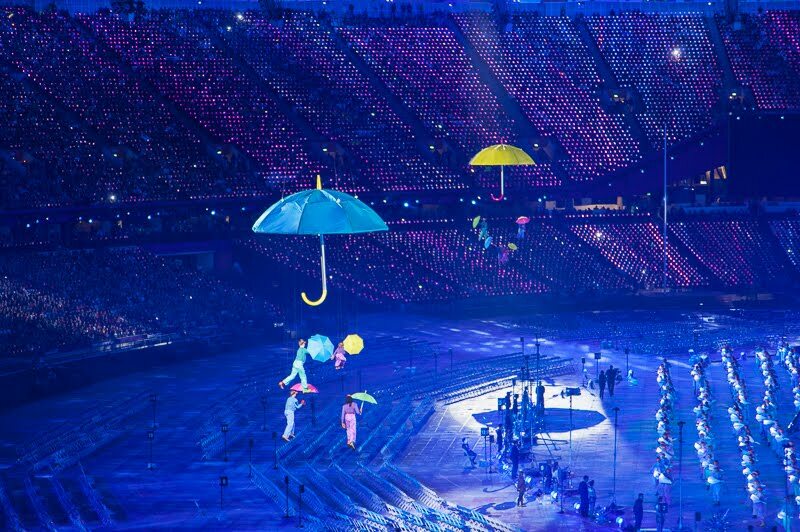 A perfect opportunity to show you the umbrella scene from the opening ceremony pf the Paralympics in 2012. Great shot, brings back some good memories of last summer too. This is fantastic. That opening show was so wonderful. how neat! i was thinking mary poppins! Ooh! That looks pretty awesome! What a fantastic program that they put on for the Paralympics Opening Ceremony. So glad you chose this photo. Wonderful! That is gorgeous! Evokes the magic of the summer games again! How lucky you were to be there! Thanks for visiting Sudbury Daily Photo. Wow! This is a magical scene and the colors are wonderful! Great shot for today's theme. Thanks for visiting Sequim Daily Photo. This was a magical moment and you give more a sensation of a painting than of a photo. Good! So nicely tying in the umbrella theme with London! 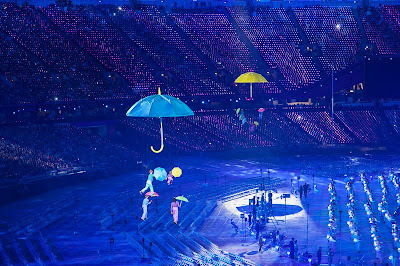 Magical image for the theme Mo, it certainly was a fantastic opening ceremony. Floating umbrellas - love it! Unique, and a great choice for todays theme day posting.